Buy your advance tickets at Girliecircuit.net, Ticketmaster.es or from authorised sellers. Also, you will be able to purchase them directly at the parties (as long as they are not sold out when you arrive). Only official tickets will grant you access to the festival. The promoter will not be responsible for falsifications. Those under the age of 18 are not allowed entry to the festival. Everybody must bring an ID card, Foreign Resident ID Card (NIE) or passport (only originals, photocopies will not be accepted). We recommend you arrive at the parties early, as there is limited capacity and access will not be guaranteed to those without tickets. Access to the parties is fast, but due to the size of the Girlie Circuit Festival event, there may be some delays, so we ask for your patience if this happens. If you leave any venue and wish to come back later, you will have to buy a new ticket. For your convenience, we recommend you bring cash to purchase your drink tickets. At all parties you will find a cloakroom area where you can leave your personal belongings. Before accessing each party, all carried backpacks or packages will be searched as required by law. The refusal of the search will mean the banning of that person from the party. The organisation reserves the right to refuse admission to anyone whose attitude could be considered offensive and violent or show symptoms of being under the influence of alcohol or illegal substances. It is forbidden to enter the festival with illegal substances, alcohol, drinks, liquids, audio and video recorders, weapons or dangerous items. If you feel unwell during a party, rest and have plenty of water and carbohydrates. If necessary, seek medical assistance. All events will have a team of professionals ready to take care of you. By buying the tickets, unless written communication is submitted to the organisation, the attendees give their consent to appear in images taken during the events for their subsequent distribution for Girlie Circuit Festival’s promotional, informational or commercial purposes. Do not carry a large amount of cash, valuable items or important documentation and do not leave your personal belongings unattended. If you are alone in an isolated place, be alert and avoid walking in dark areas. Do not give personal information to people you just have met and avoid taking them to your place. What should you do if you are a victim of theft, discrimination or homophobic aggression? Keep calm and call 112. Remember who was there and where everything happened. If you have been injured, go directly to the health center and ask for a medical report. Make sure that the report includes all the details you have stated. Going out shirtless if not near beach areas. Drinking alcohol in the streets. Noise pollution (screaming, shouting, singing). Buying from illegal street vendors. 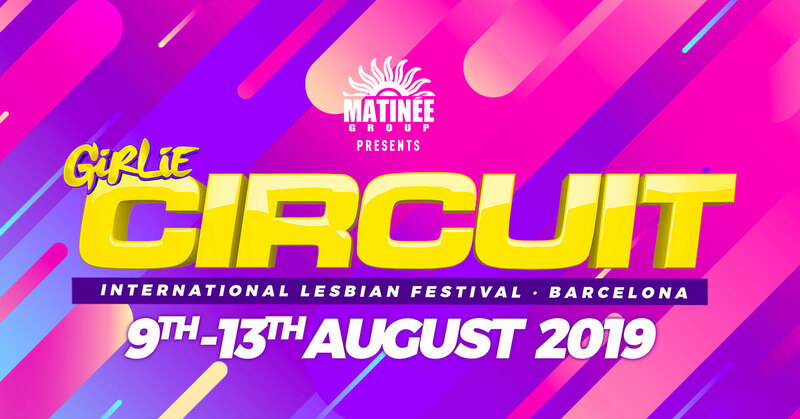 If during any of the events you have lost or forgotten documentation or personal belongings, send an email to info@circuitfestival.net describing the items and specifying the date and time you lost them. Do not forget to include your name, surname, e-mail and mobile phone number.